Holiday Food Plan for Weight Control! 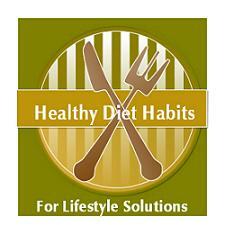 Developing a Holiday Food Plan is a healthy diet habit for weight control! No one wants to step on the scale in January, to find an extra 5 to 10 holiday pounds has crept on! Oh it was fun to get to that place, no one is denying holiday binging is fun and tasty, but dealing with the aftermath of the holiday splurge is where the difficulty lies! It’s just depressing to start January with tight clothes, especially the new ones you got for Christmas! Fill out the Meal Planning Chart twice! One will be your daily meal plan, and one will be your event meal plan! These will differ. I would recommend allowing from 200 to 500 extra calories to be used for your event. You will therefore need to decrease meal calories on your event meal plan without deleting meals, because this leads to extreme hunger and overeating! Plan your breakfast, lunch, snacks, and dinner plans for these days and event days. Maybe you simply shave 100 calories from your breakfast, lunch and snacks on event days. Your event meal plan should be very clean, to allow for the extra event calories! You should have a healthy breakfast plan and a healthy event breakfast plan, a healthy lunch plan and a healthy event lunch plan, a healthy snack and a healthy event snack plan! Then use the saved calories to apply to your event! Enjoy that piece of pecan pie that you would otherwise deny yourself! Shop with a healthy shopping list to avoid purchasing impulse items! Stores are loaded with holiday goodies at this time; candy, tinned cookies, pies of all shapes and sizes, dips, chocolates, cakes, wonderful smells, and samples galore to lure you in! If it is not on your list, do not buy it! Understand your unhealthy food habits that can get you into trouble, and aim to clean them up over the holiday season and practice healthy eating! Know which holiday foods to avoid or limit on your Holiday Food Plan! Appetizers, Dips, Dippers, Saucy Foods, Fried Foods, and Sweets will need special treatment to include! Know holiday eating triggers and how to avoid them? Can you keep these foods in your healthy meal plan without causing binging or is this a food trigger that you will need to box out? There are many holiday foods that can cause serious weight gain, especially if they trigger out of control eating! Understand Holiday Weight Gain! Weight does not magically appear. It comes from overindulging in extra calories, less movement, excess stress, less sleep, hunger hormones that are out of whack, to name a few. It is a complicated process. Take a few minutes to educate yourselves about weight gain! Allow a 200 to 300 calorie treat every single day as part of your holiday food plan! Life is short and deprivation leads to binging. Many people always feel guilt when they eat a treat that they love. This is so wrong. Life is about enjoyment and treats are very enjoyable. All treats can be planned in! The trick is to allow that one treat! You can have it every single day if you want, so you do not need to over eat it! If the day is an event day, the treat will be at the event. This will need to be a lightened treat because many holiday treats are upwards of 600 to 800 calories though! Lighten up on holiday baking and practice cookie control! You might want to consider baking days as event days on your food plan. Physically lighten your recipes by making your own substitutions, or find new recipes that have been lightened. Plan less variety of baked goods to avoid temptation. Who has not made several cookies and had to taste one of each! Cookies are a caloric holiday treat and no one can be satisfied with just one. Many times it is a better choice to have a small piece of pie than fill up on cookies! Practice Practical Healthy Holiday Tips that relate to food, habits, and your coping skills during the holidays! Keep drinks under control! I would even go as far as to say "Do not drink liquid calories during the holidays," unless they are on your food plan as a treat. The average person drinks 400 calories in liquids per day, and this is a great place to grab extra calories. Substitute an espresso, Americano, or brewed coffee for your daily coffee fix. Greatly limit drink calories from alcoholic beverages too! Developing a holiday food plan is a great lifestyle solution for weight control during the holidays. It is possible to enjoy extra treats and event days without gaining weight by January!